This is a pretty loaded question. Since we’re in the industry ourselves, we’ve decided that it’s high time that we explain our interpretation of what a bed and breakfast is, and why we do it. The tradition of opening-up one’s home to travellers dates back to Colonial America. Aside from the occasional inn near stagecoach stops, lodging establishments (think hotels) were rare back then, and instead travellers often depended on the kindness locals offering a place to sleep for the night and some sort of meal, for payment or not. Historical tales of people sleeping in a farmer’s barn before continuing on their journey were often true, though an absurdly (possibly romantic?) notion in modern minds. Hotels like the ones we think of now did not become common until the advent of the railroad and later car transportation and highways. Greenwich, for one, had a hey-day during the 1890s and early Twentieth Century for hoteliers with many seasonal hotels opening in town. These establishments accommodated the many tourists taking the train from New York City to enjoy the clean air and outdoor activities readily available in Greenwich and the surrounding area. While the original concept of offering a Bed and Breakfast to travellers to fill unused rooms in one’s house appears to have originated in the British Isles, it had gained a presence in France, Germany, and other parts of the continent once American tourists arrived in large numbers after World War II. Did I mention that Greenwich and the Stanton House Inn look beautiful in the spring? Many of these Americans returned home with desires to open Bed and Breakfasts themselves, or pre-existing businesses were re-classified as Bed and Breakfasts to cash-in on the fad. The trend first gained traction in California, especially the Napa Valley, before taking hold in the East, especially New England, in the 1980s or so. Enter the Stanton House Inn, which opened its doors as a bed and breakfast run by us, the Pearsons, in 1985. 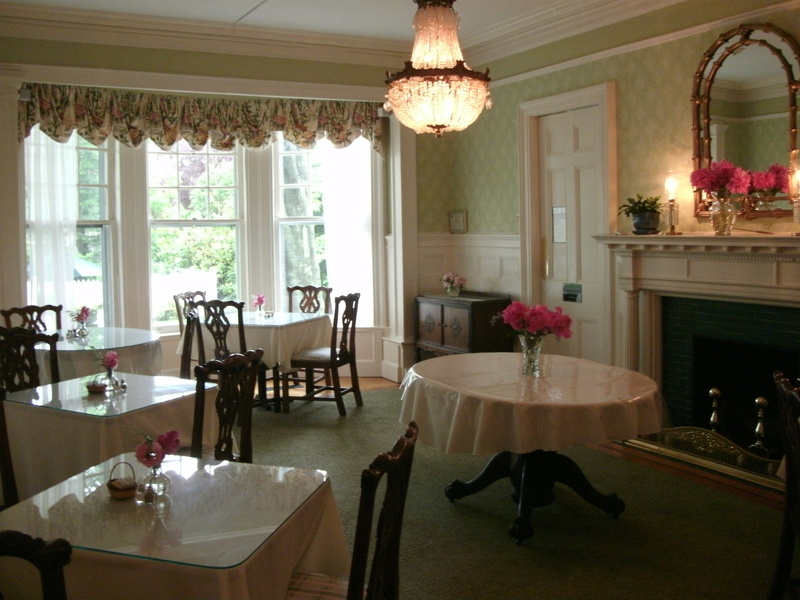 In many regards, the Stanton House Inn is similar to the development of many bed and breakfasts around the country. My wife and I decided that such a business was one of the few viable ways to preserve, maintain, and protect the beautiful old house in our family’s care (officially known as the Seaman-Brush house, first built in 1843 and remodeled in 1900). In our nearly thirty years of operation, we’ve also witnessed the continued development of the Bed and Breakfast industry. What was originally a business similar to homestays with offered guests only a bed (and simple furnishings, lacking even televisions and telephones), breakfast, and often a shared bath has quickly transformed. It has now gone up-scale in many ways to a hospitality sector featuring historic mansions beautifully restored with a historical ambience and much-improved amenities and décor. Now it is not uncommon to find Bed and Breakfasts that offer amenities of the larger hotels. 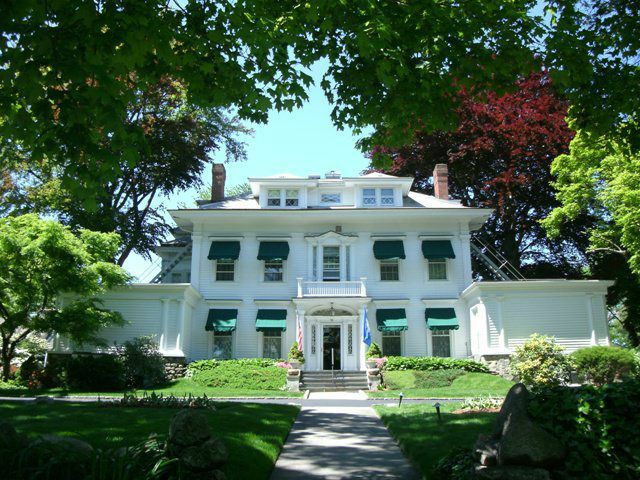 Here at the Stanton House Inn for example, we offer complimentary wireless Internet service, free parking, an in-ground pool, valet laundry, as well as meeting and conference spaces. 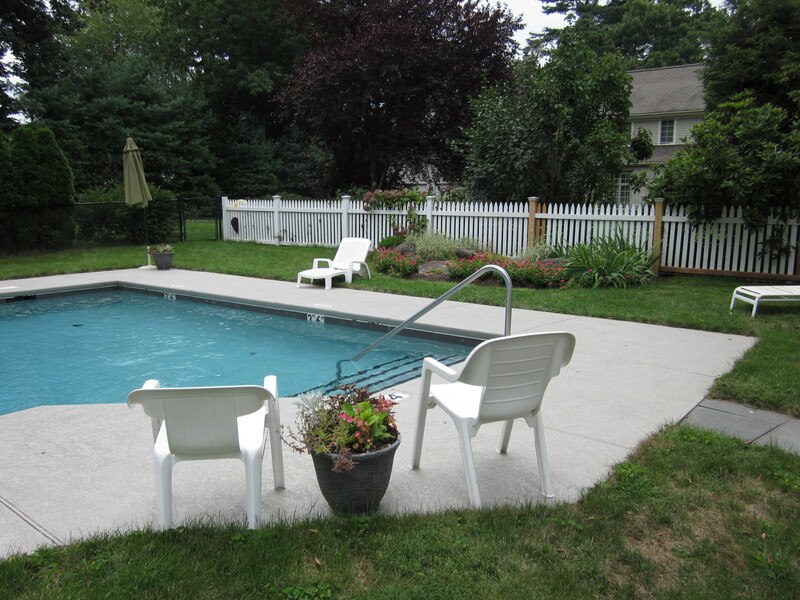 Our pool’s gorgeous in the summer, by the way. Bed and Breakfasts, as small businesses, can still offer other amenities that larger hotels cannot: staff that know their guests by name and life story and more responsive management (often, if you lodge a complaint with someone at the Front Desk, you are getting the attention of the business’s CEO; try achieving that at a chain hotel). Also, Bed and Breakfast Inns offer something very few larger hotels can: a personal link to the local community, as many innkeepers know their neighborhood intimately and for years, even decades. In many respects, staying at a Bed and Breakfast offers guests a chance to establish themselves in a real living, breathing community of people. For reasons I cannot explain, guests often find it easy to begin chatting and establishing lasting relationships with the guests sitting at the table next to them at breakfast, whether the guests are from across town or across the globe–behavior I for one do not normally witness in dining rooms at larger hotels. Did I mention we have a dining room? That is one of the largest distinguishing qualities of modern bed and breakfast inn businesses: the lack of anonymity. For some, anonymity is a major selling feature, and larger hotels are a more perfect match for those guests. For others in this age of digital hyperconnectivity with those a world away and a lack of personal intimacy with those physically closest to you, a more meaningful connection may be an ideal match. Happy Thanksgiving from the Stanton House Inn! A Little Chowder, Anyone? — Happy Valentine’s Day!